(AFP News) - Malaysia Airlines said a flight carrying 239 people from Kuala Lumpur to Beijing went missing early Saturday, and the airline was notifying next of kin in a sign it feared the worst. 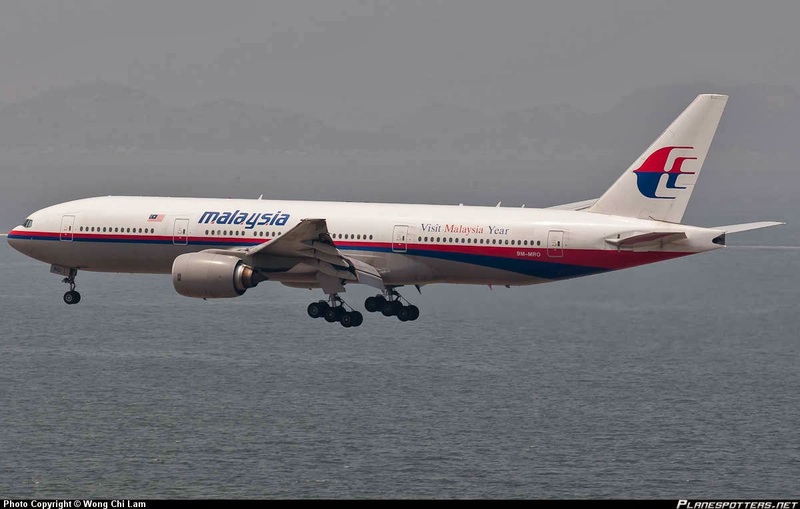 The airline said flight MH370 disappeared at 2:40 am local time (1840 GMT Friday), about two hours after leaving Kuala Lumpur International Airport. It had been due to arrive in Beijing at 6:30 am local time (2230 GMT Friday). A statement posted on the official Vietnamese government website said the flight disappeared in Vietnamese airspace. "The plane lost contact in Ca Mau province airspace before it had entered contact with Ho Chi Minh City air traffic control," it said. The plane was meant to transfer to Ho Chi Minh City air traffic control at 1722 GMT but never appeared, the statement said, citing a senior Ministry of Defence official. Vietnam's Ministry of Defence has launched rescue efforts to find the plane, working in coordination with Malaysian and Chinese officials, the statement added. The Boeing 777-200 was carrying 227 passengers, including two infants, from 13 different nationalities, and 12 crew members. China's state television said 158 of the passengers were Chinese. Some 160 Chinese had been due to be on the flight but two missed it, according to Xinhua, quoting China's Civil Aviation Administration. "We deeply regret that we have lost all contacts with flight MH370 which departed Kuala Lumpur at 12.41 am earlier this morning bound for Beijing," Malaysia Airlines Group Chief Executive Officer Ahmad Jauhari Yahya said in a statement. "Our team is currently calling the next-of-kin of passengers and crew," Ahmad Jauhari said. The airline's Kuala Lumpur-Beijing route passes over the South China Sea, and remote parts of the Indochinese peninsula before entering southern Chinese airspace. A Malaysian Airlines spokeswoman said she could not immediately provide further details, but the airline said it would soon hold a press conference in Kuala Lumpur. "This news has made us all very worried," Chinese Foreign Minister Wang Yi said in Beijing. "We hope every one of the passengers is safe. We are doing all we can to get more details." A report by China's Xinhua news agency quoted Chinese aviation authorities saying the plane did not enter China's air traffic control sphere. A spokeswoman with a Thai agency that monitors the country's airspace told AFP the plane also did not cross over Thailand. A Beijing airport spokeswoman said the facility had activated an emergency response system. Screens at the airport indicated the flight was "delayed". An accident would be a huge blow for the carrier, which has bled money for years as its struggles to fend off competition from rivals such as fast-growing AirAsia. It recorded its fourth straight quarterly loss during the final three months of 2013 and warned of a "challenging" year ahead due to intense competition. The carrier admitted in 2012 it was in "crisis", forcing it to implement a cost-cutting campaign centred on slashing routes and other measures. In 2011, it chalked up a record 2.5 billion ringgit ($767 million) loss. In July 2013, a Boeing 777-200 operated by South Korea's Asiana Airlines skidded off the runway upon landing at San Francisco's international airport after it clipped a seawall before touching down. "We're closely monitoring reports on Malaysia flight MH370. Our thoughts are with everyone on board," the manufacturer said in a statement on its Twitter feed. Boeing has been beset by problems with its high-tech 787 Dreamliners put into service two years ago, including a months-long global grounding over battery problems last year. 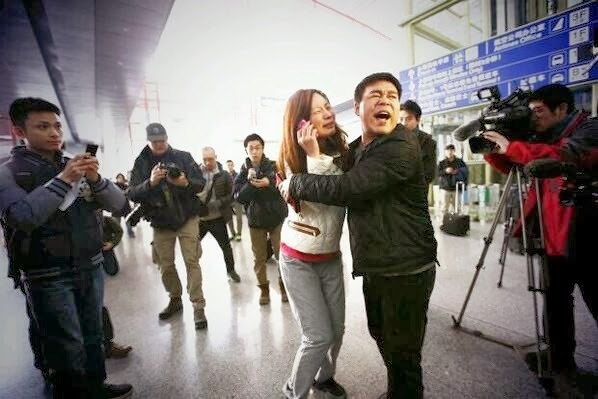 The information vacuum regarding the flight touched off a frenzy on social media, which saw an outpouring of concern for passengers and unconfirmed rumours that the plane had landed safely in southern China. Malaysian Airlines has said those rumours were false, The Star newspaper reported. A spokesman told the Sydney Morning Herald that Australian passengers were on board but could not confirm how many. Malaysia Airlines (MAS) has suffered few accidents in its history. One of its jets crashed in 1977 in southern Malaysia, killing all 93 passengers and seven crew. A smaller Twin Otter aircraft, operated by its unit MASwings, crashed upon landing in Malaysia's Sabah state on Borneo island last October, killing a co-pilot and a passenger. There were no immediate signs of passenger relatives descending in large numbers on Beijing's airport. An AFP journalist saw one woman enter the arrivals zone at the airport and break down in tears. She was led away by police.